I have made a Purchase but it does not show in my account. Why? All Sales are processed manually. We have members spread around the globe so Admin is in a totally different Timezone to most of you. Please allow up to 12 hours before contacting us. Your order will probably be processed a lot faster than that. Why was my Upgrade Purchase Refunded? We now ONLY accept Perfect Money sales if the member is VERIFIED at Perfect Money. Why was my Payment Request Cancelled? The most common reasons for cancelled Payment Requests is because the member does not have a Verified Account at Perfect Money or they have entered the wrong Account number in the request. Why has my Account been blocked from making Payment Requests? We get several requests every day from members who are Not Verified at Perfect Money. Many of them keep requesting payments so we block the Request facility. It will be re-opened if the member becomes Verified or qualifies for Payment in another way. Why can Standard Members only request payment using Perfect Money? This is because the Minimum Payments that we can send through other processors is Greater than the Maximum Payment that Standard Member are allowed to Request. Why do Standard Members have to be Verified at Perfect Money? This is in place for Security purposes. Some members manage to create more than one account at the site without being detected (very few though) and also create more than one account at Perfect Money. How do I request payment using Perfect Money? 1. Please login to your Perfect Money account. This will take you to the MY ACCOUNT page. 2. On the RIGHT hand side you will see various account numbers next to different currencies. 3. Please copy the US$ account number and enter it into your request, for example: U1234567. 4. Enter the amount that you are requesting DO NOT enter more than the amount shown at the top of your request page. 5. Enter the PIN number that you used for Registration at our site. How do I request Payment for DOGE coins? Payments are now available for DOGE Coins, but you MUST be an Upgraded member who purchased the current upgrade using this coin. 1. In the WITHDRAW area click on Dogecoin and enter your DOGE Wallet ID Number in the ACCOUNT ID box. 2. Enter the amount to withdraw in US$ there is a maximum amount set for each Membership level. 3. Enter your PIN number for this site. How do I request Payment for Bitcoins? Payments are now available for Bitcoins, but you MUST be an Upgraded member who purchased the current upgrade using this coin. We will ONLY send BitCoin Payments to accounts at COINBASE. When you make your Payment Request you should enter the EMAIL address that you are registered at Coinbase with. If you insist on using your Wallet address you will incur an ADDITIONAL 10 cent Mining fee that is imposed by the processor. The above email MUST be the same as the email registered at this site. This is for security purposes. If you need to change your email address at this site and have any problems please contact Admin who will assist you. Claim Seven Different Coins With One Click. 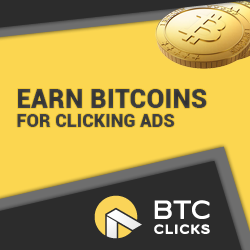 Claim Seven Different Coins With One Click. Auto Faucet Pays To Faucethub And Watch Your Exp Drop. Copyright © 2019 Surf BTC All Rights Reserved.